Poll: Will calorie counts on menus make you think twice about what you order? The government’s action to tackle obesity was launched this week by the Health Minister Simon Harris. THE GOVERNMENT’S ACTION plan to tackle obesity has committed to legislate for calorie counts on menus. At the launch of an obesity policy action plan, Health Minister Simon Harris said rising levels of obesity are placing an increasing burden on society. In order “to support people to make healthy choices” the plan says that within the first year it aims to include calorie details of meals on menus alongside the price of items. The calorie counts will be visible at the point where the food is ordered in restaurants, takeaways and food service outlets. 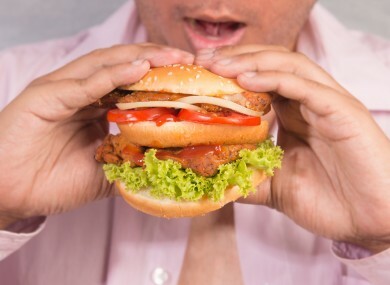 Email “Poll: Will calorie counts on menus make you think twice about what you order?”. Feedback on “Poll: Will calorie counts on menus make you think twice about what you order?”.